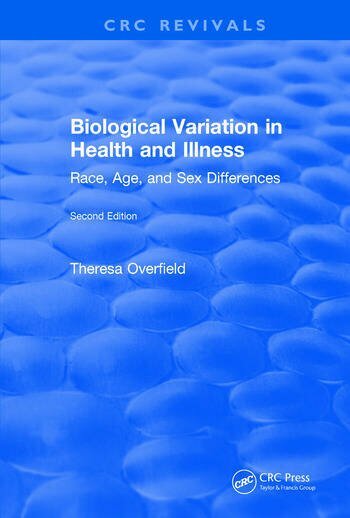 Specifically for the health professional, this book contains an extensive compilation of research findings on biologic variation by race, age, and gender relating to health and illness. Completely rewritten, revised, and updated, the Second Edition includes an increased discussion of biologic variation and expanded coverage of each chapter topic. This book provides a theoretical framework for understanding the mechanisms that influence biologic variation. It presents a well-documented discussion of research data and indicates areas where knowledge is lacking. A theoretical explanation is followed by examination of surface and anatomical variations, developmental variation, biochemical and enzymatic variations, disease susceptibility differences, and influence of the external variation. Consideration of sexual variation reveals more differences between the sexes than among races. Misconceptions about racial uniformity and diversity are exposed throughout the book. Tables of specific biologic variations allow easy reference and access to the literature. At the time of writing Theresa Overfield was Research Professor, Department of Anthropology, University of Utah, Salt Lake City, and Professor Emeritus, College of Nursing, Brigham Young University, Provo, Utah, USA.